The Minister of Police is appealing to the public to be mindful of their behaviour during the holiday season. Mateni Tapueluelu says they have set up a taskforce to operate during the holiday season starting this week to ensure public safety and minimize public disorder. Tapueluelu is also urging the public especially drivers to think twice when driving under the influence of alcohol because victims are still recovering at the hospital due to road accidents involving alcohol. 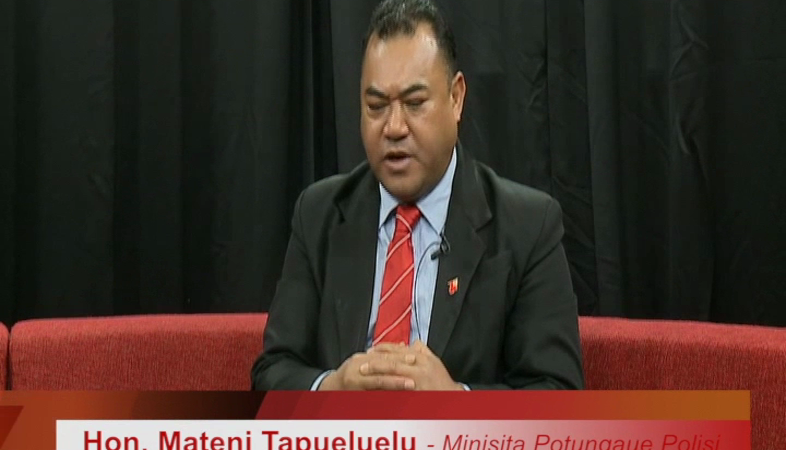 Police have also received complaints from the public about the use of fireworks on Sundays and Tapueluelu has reminded the public to keep the Sabbath Holy as it is a law.